Beat the Whites with the Red Wedge, El Lissitzky, 1919. This amazing piece was one of Lissitzky’s earliest creation made in 1919. By placing geometric shapes in a smart way, it creates lot of movement. 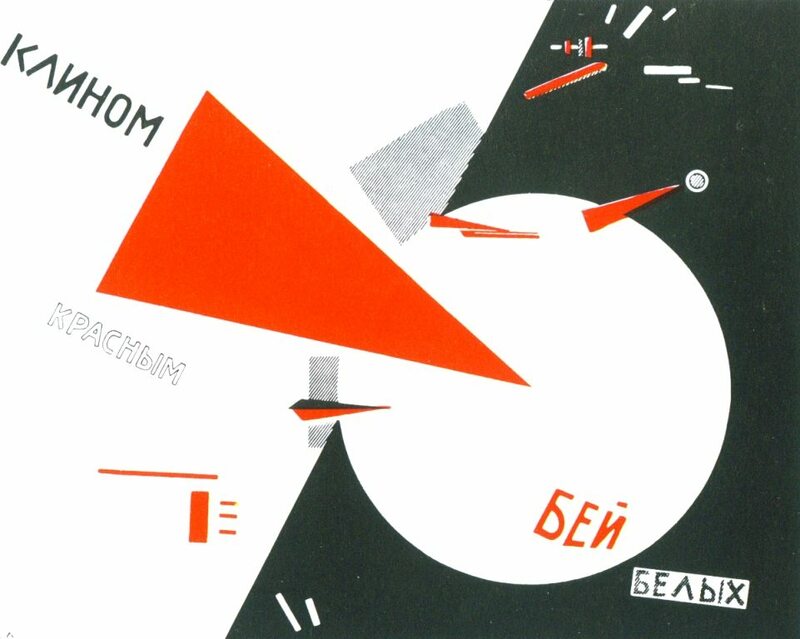 “Beat the Whites with the Red Wedge” also became the most famous piece from constructivism. By looking at the shapes, it shows me a message of loud noise and repetitive pattern of movement, like using a drill through the walls, or hitting the hammer on the table, creating a intense atmosphere of action and war. There are multiple red rectangles around the image, and they sort of push the appearance of the big one, and the light grey triangles on the background are placed like they were hardly break through by the giant rectangle. The whole image is so powerful, and I find it just like hard drum beats. The beat start with small snares, and it gets louder and louder, suddenly the drum kicks in and make the tension go higher and higher, just like the art piece. The drum beats are so hard and they are just like the red wedge that represents the Bolshevik revolutionaries as they penetrate the anti-communist White army. This is a soundtrack from video game PAYDAY2, it is the beat example of my synthesia for Beat the Whites with the Red Wedge. “Beat the Whites with the Red Wedge.” Utopia/Dystopia, 1 Jan. 2013, utopiadystopiawwi.wordpress.com/constructivism/el-lissitzky/beat-the-whites-with-the-red-wedge/.